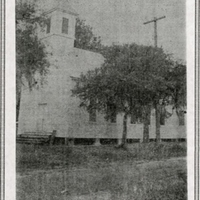 The Antioch Missionary Baptist Church, located at 311 East Broadway Street in Oviedo, Florida, sometime between 1875 and 1950. In 1875, members of the African-American community came together to build a small place of worship. Adjacent to the church was a traditional one room "Red School House." By 1913, another room was added due to the increase in students. In the "little room," first through fourth grades were taught, while fifth through eighth grades were taught in the "big room." By 1923, the building had begun to deteriorate and $2,000 were appropriated to renovate. However, plans were made to purchase a building that was formerly used for white students on South Division Street. For 10 years, three teachers taught with little to no resources. By 1950, a number of classrooms were added and the ninth and tenth grades were added to the school. During the 1950s, all of the Oviedo area colored schools were consolidated. A new site was built where the younger grades were held, while the older grades remained at the old site. The school went through a variety of names: Orange Academy, Seminole Academy, Oviedo Junior High School, and Oviedo Elementary School. On December 8, 1961, the Seminole County School Board officially approved the name chosen by students and the Parent-Teacher Association (PTA) members: Jackson Heights. Original black and white photograph: The World Outside Reunion, "A Written and Pictorial History of the Oviedo Area Colored Schools": Judith Smith Publishing: Private Collection of Ida Boston. Digital reproduction of original black and white photograph: The World Outside Reunion, "A Written and Pictorial History of the Oviedo Area Colored Schools": Judith Smith Publishing. The World Outside Reunion,"A Written and Pictorial History of the Oviedo Area Colored Schools, 1890-1967." RICHES of Central Florida. Originally published by Judith Smith Publishing. Copyright to this resource is held by The World Outside Reunion and is provided here by RICHES of Central Florida for educational purposes only. The World Outside Reunion. "A Written and Pictorial History of the Oviedo Area Colored Schools, 1890-1967." RICHES of Central Florida. https://richesmi.cah.ucf.edu/omeka2/items/show/5258. 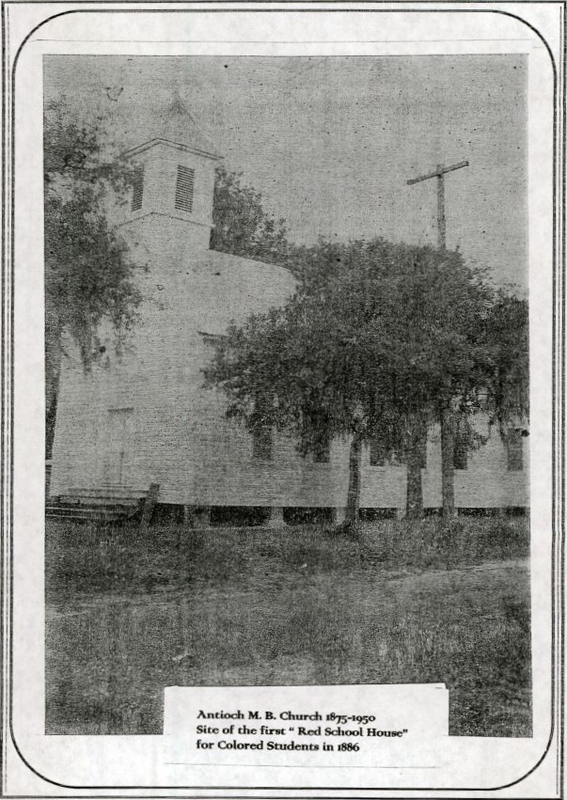 “Antioch Missionary Baptist Church of Oviedo.” RICHES of Central Florida accessed April 18, 2019, https://richesmi.cah.ucf.edu/omeka/items/show/5334.